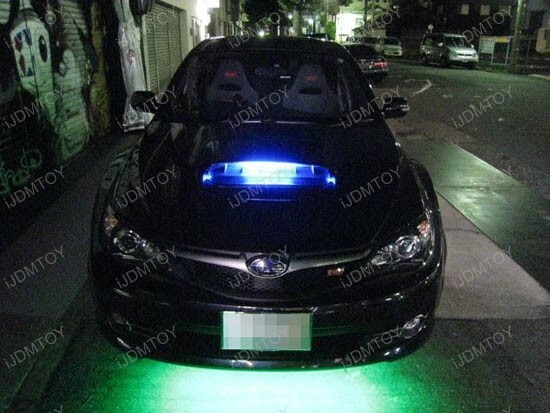 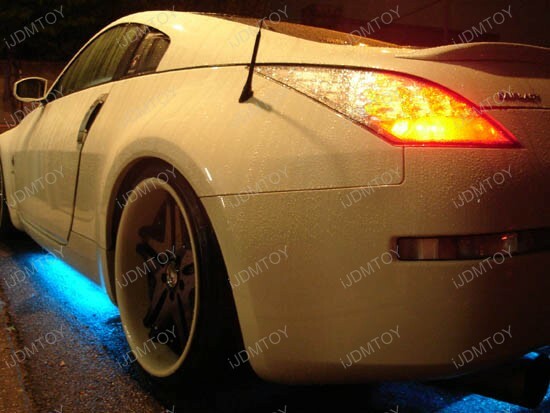 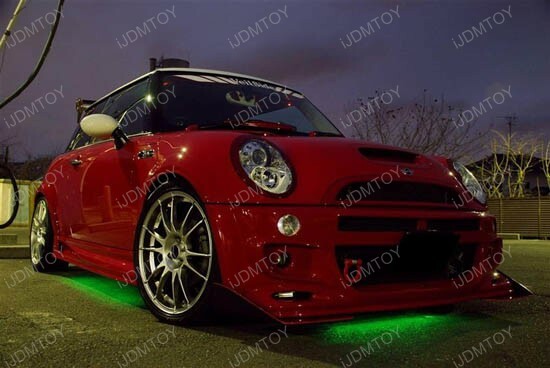 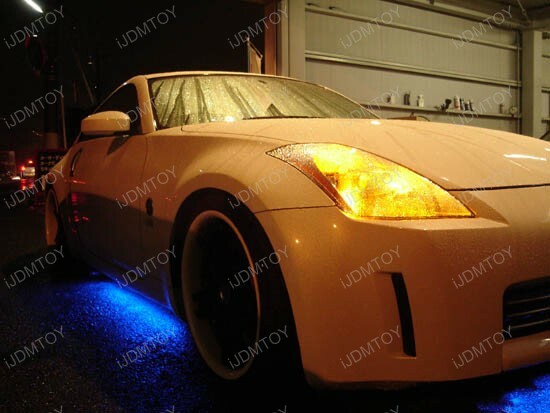 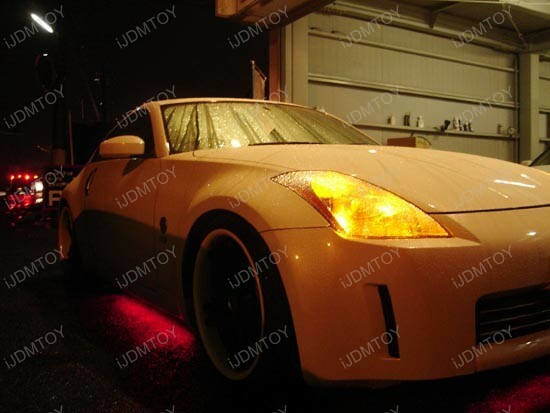 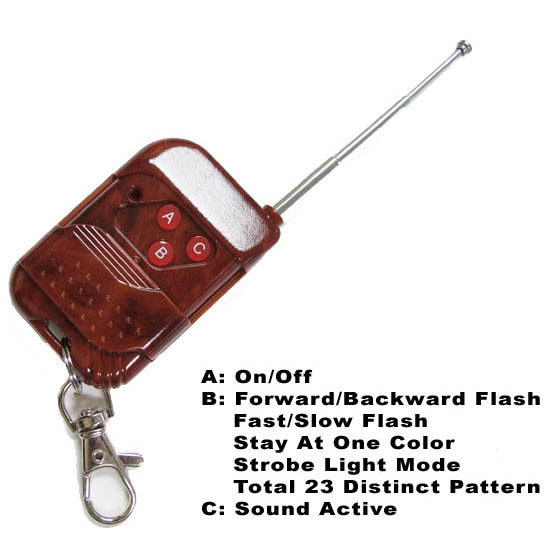 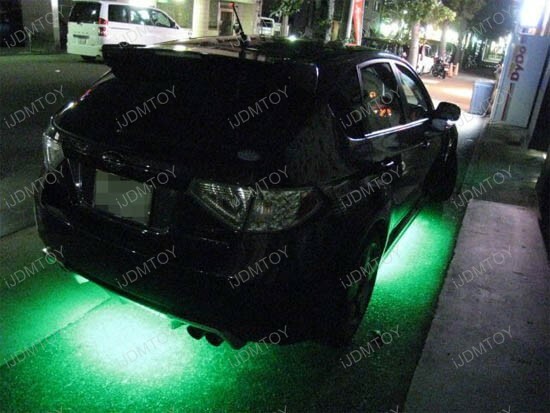 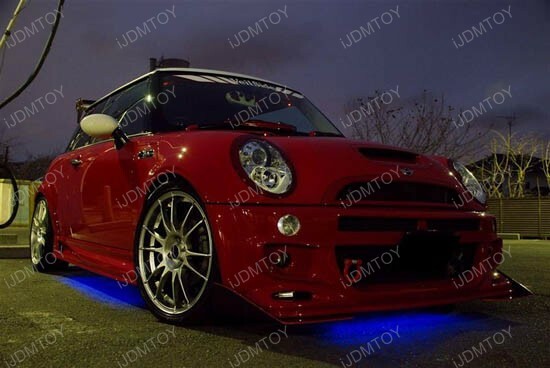 This page features a set universal fit sound active enabled 180 individual LEDs, 7 Colors, 12 Distinct Flash Patterns under car body LED lighting kit with remote control. 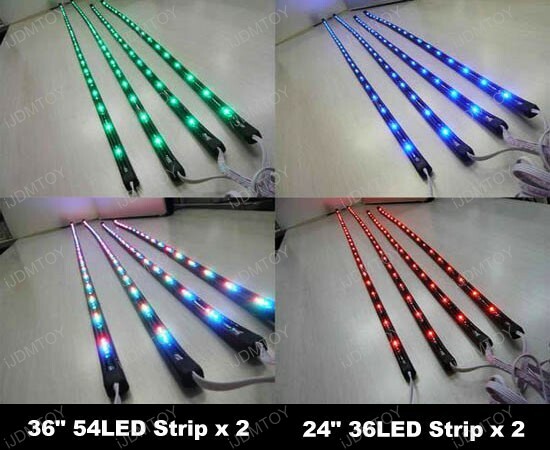 This package includes 2 pieces 36 inches (90cm) 54-LED waterproof LED strips; 2 pieces 24 inches(60cm) 36-LED waterproof LED strips; 1 piece Control Module; and 1 piece 4-Mode Remote control (60ft range). 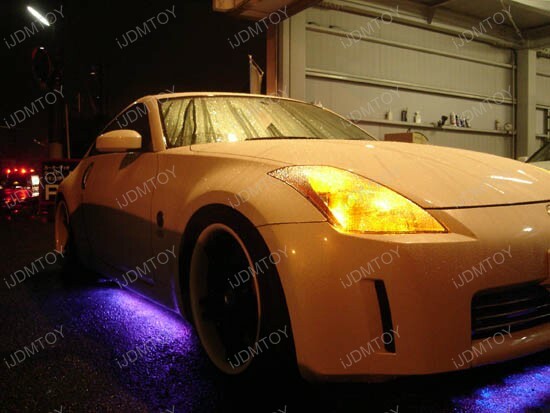 The 7 Colors include Red (R), Green (G), Blue (B), Yellow (G+R), Magenta (R+B), Cyan (B+G), White (R+G+B).